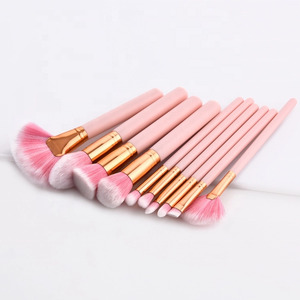 1 YRS Lanxi Liangyuan Beauty Products Co., Ltd.
1 YRS Shenzhen Viki Cosmetic Co., Ltd.
1 YRS Shenzhen Neastar Technology Co., Ltd.
1 YRS Shenzhen Baichen Technology Co., Ltd.
2 YRS Shenzhen SAC Technology Co., Ltd.
&#10004; Multi-version Types for Sizes, Designs, Colors etc. Q3. What's your lead time9 A: 3-7 working days for sample orders, 10-15 working days for bulk orders. Q4. Is it OK to print my logo on products and packaging9 A: Yes, Please provide us your logo files and required details. For years, we cooperate with numerous well-known brands for joint product development and production. 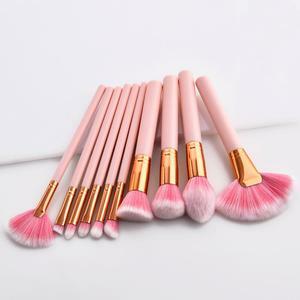 30pcs red brush Shipment 30pcs red brush Q1: Could I print my own brand/ logo on the goods9 R: Sure, of course, OEM printing logo is welcomed based on MOQ. Q3: Can I make sample based on my demand9 R: Certainly, we have professional engineer to make a proof before order OEM mass product. 2 YRS Shenzhen Good Feeling Industrial Co., Ltd.
Alibaba.com offers 217,764 logo makeup products. About 21% of these are makeup brushes, 18% are cosmetic bags & cases, and 7% are eye shadow. A wide variety of logo makeup options are available to you, such as case, eye shadow, and box. You can also choose from waterproof, sunscreen. As well as from aluminum, canvas, and nylon. And whether logo makeup is eye, or lips. There are 217,764 logo makeup suppliers, mainly located in Asia. The top supplying country is China (Mainland), which supply 100% of logo makeup respectively. 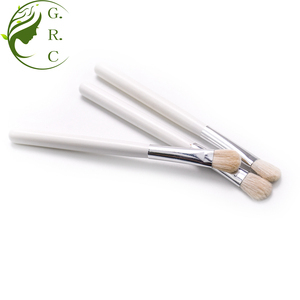 Logo makeup products are most popular in North America, Western Europe, and South America. You can ensure product safety by selecting from certified suppliers, including 31,779 with ISO9001, 22,196 with Other, and 8,561 with GMP certification.